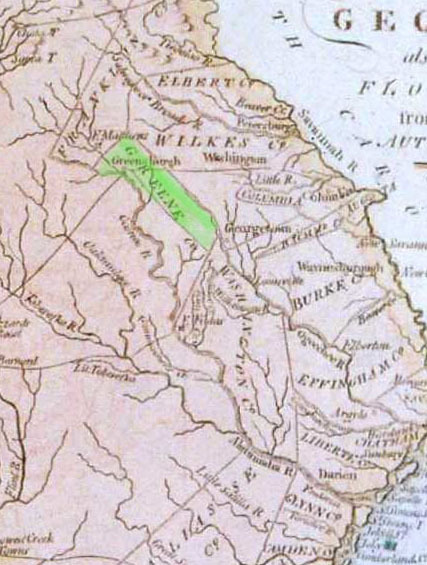 Washington County was created in 1784 from Creek Indian lands. Hancock Country was created 1793 from Greene and Washington counties. 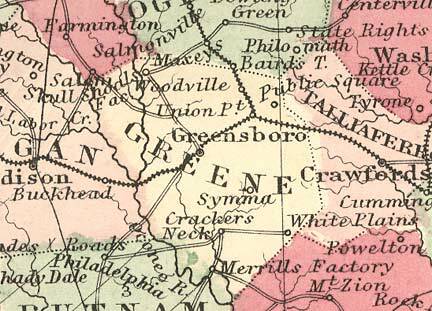 Taliaferro County was created in 1825 from Green, Hancock, Oglethorpe, Warren, and Wilkes counites. 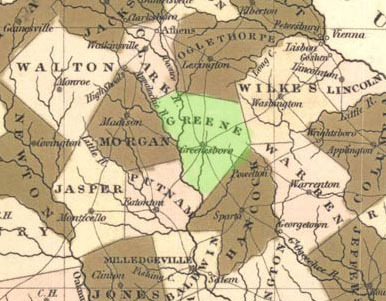 Cir 1792 Map of Greene County, Georgia. Note that Hancock (created 1793) and Taliaferro county (created 1825) do not appear. So it is quite possible that the location of the family in 1820 in Hancock County, was physically in the same place as when it is recorded in 1830 in Taliaferro County. The 1850 location in Greene County means the family probably moved to Greene. The likelyhood of more than one McKinney Howell family exists, but a point against that is that if the counties mentioned above are taken as a group, only one McKinney Howell family appears per decade. Unfortunately the 1820 and 1830 censuses do not provide the names of the household members – only the name of the head of household is given – so it is impossible to determine if there is a match in the names of the household members.